I’m so happy today! 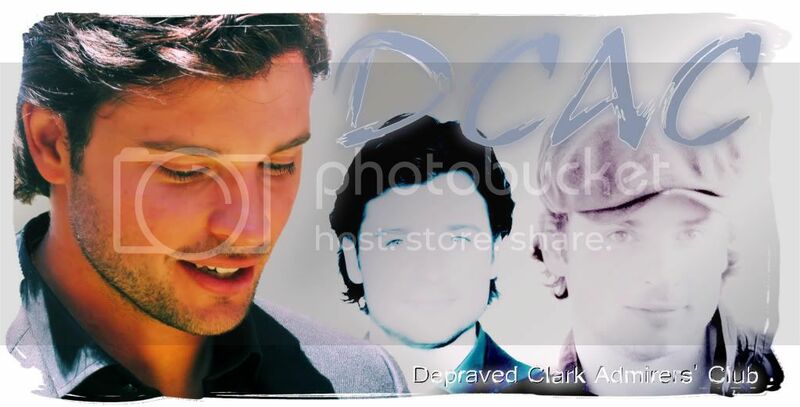 First because I’m posting these wonderful Clark shots, of course, but also because of the magical Sion promo stills we got earlier. *sighs* I can’t wait to watch this episode. Now, on to business!! ;D The only thing bugged me about Beacon was that it was somewhat light on Clark (And by that I mean that I want Tom’ screen time to be one full hour: no commercials or anything else allowed. Well, maybe a good Clois shot, but that’s about it!! LOL) Just kidding (or not). Here is to another fantastic episode that made me scream, laugh, cry, drool, and left me wanting more. BTW Smallville fans are AWESOME!! And of course these are some my favorite shots (click to enlarge). Enjoy! !